In 1872, President Ulysses S. Grant signed the Yellowstone Park Act to conserve this section of wilderness "as a pleasuring ground for the benefit and enjoyment of the people" where "wanton destruction of the fish and game" was prohibited. Twenty-two years later, President Grover Cleveland signed the Lacey Act to protect the birds and animals in the park from hunting, killing, wounding, or capturing "except dangerous animals when it is necessary to prevent them from destroying human life or inflicting injury." In 1916 the National Parks Act created the National Parks Service "to conserve the scenery and the natural and historic objects and the wildlife therein, and to provide for the enjoyment of the same in such a manner and by such means as will leave them unimpaired for future generations." So notes Alston Chase in the first chapter of Playing God In Yellowstone, and then goes on to detail how this noble beginning led to the elimination of predators, the decimation of beaver and bighorn sheep, invasion of nonnative forages, an overpopulation of elk and bison, and repeated clashes between the people and the environment that was set aside for their use. Published in 1986, the book is sub-titled The Destruction of America's First Park. Chase, a philosopher by education at Harvard, Oxford, and Princeton universities, loved Yellowstone from the first visit with his family in 1947. In 1972, he and his wife left tenured academic positions and moved to a remote ranch in Montana's Smith River country. To makes ends meet, they developed and operated a summer natural history program for young people. Chase was a licensed Montana outfitter and guide and a park concessionaire, and he had hiked many of Yellowstone's trails. Nine years later, he sold the ranch to provide living expenses while he wrote the book. The charge given the parks department may have been doomed from the start, for the provisions necessary to provide for human use has often been at odds with protection of the environment and animals. From the beginning, building of roads, lodges, cabins, campgrounds, visitor centers, and garbage dumps was done with little knowledge of the natural history of the park or the contemporary needs of animals and habitats. In some strange mix of policies, people were welcomed into the park in great numbers but at the same time were considered detrimental to the animals and the habitats. Science played little part in park plans; most activity was dedicated to increasing the budget for next year. Park directors embraced one incoherent strategy after another. In 1915, they began a program to eradicate wolves, mountain lions, and coyotes in the park to protect elk. Rangers got part of their salaries in pelts. They were assisted in the effort by the US Biological Survey, which had embarked on a systematic campaign to eliminate predators throughout the west. At the same time, authorities were setting up serious long-term problems between grizzly bears and people by establishing feeding stations at open dumps and providing bleachers for people to watch the bears forage through the garbage. Then, when the bear population increased, they closed the dumps, forcing the animals to seek food elsewhere - at campsites and in the towns outside the park. The bears grew thin and many were killed raiding trash in Gardiner and other settlements, but the new policy held. The elimination of predators led to an increase in elk far beyond the carrying capacity of the park, so authorities embarked on a herd reduction program that encouraged hunting at the park boundaries. These were little more than canned hunts, with hundreds of elk killed by roadside hunters. The public didn't like the hunts, so they were stopped. When the herd increased again, park officials solved the problem by feeding them through the winter in spite of the non-interference policy. The overabundance of elk put nutritional pressure on other hoofed animals, and the stressed bighorn sheep developed pinkeye during the winter of 1981-82. Pinkeye is treatable, but the noninterference policy held fast. However, rangers were allowed to shoot the animals that fell from the cliffs when they were temporarily blinded by the disease. The bighorn herd dropped from about 500 animals to 180. Throughout this narrative, Chase makes sure that the reader understands that these policies were not the result of a cavalier attitude towards the animals but rather were undertaken in sincere efforts to protect the park and its plants and animals under the direction given by Congress. The park was doomed because the policy-makers were not scientists who studied wildlife trends, behavior, and nature, and the park was run first by the military and then by bureaucrats whose jobs depended on adherence - or the appearance of adherence - to Congressional dictum. Playing God in Yellowstone is supported by 50 pages of notes and sources provided by interviews, federal documents, park records, newspaper accounts, independent studies, diaries of early explorers, museum works, scientific committee reports, technical bulletins, and the writing of noted environmentalists such as Aldo Leopold and Frank and John Craighead. Two chapters stand out for their departure from the story, yet they impact the future of Yellowstone and all of America's parks and private lands: "The Hubris Commandos" and "The California Cosmologists." "The early 1970s were a turning point in environmental America," Chase said, and went on to describe a movement caught in a dilemma: in order to convince people to save the wilderness, it was necessary to bring people to the wilderness, but people in the wilderness destroyed its beauty and balance. So began a race to bring millions to the parks and simultaneously reduce their impact on the environment. The recreation industry helped, both by providing vehicles that made it easy for people to camp in comfort and developing equipment that lightened the load of tenters and backpackers who wished to travel further into the wilderness. National parks, the recreation industry, and the environmental movement all benefited from the commotion. Congress set aside more parks and recreation areas, the industry expanded, and environmental organizations grew like topsy. The National Audubon Society alone nearly quadrupled its membership from 45,000 in 1966 to 193,000 in 1972. Consumptive use of wilderness grew too - the parks became playgrounds for hunting, fishing, boating, climbing, even hang gliding - and little attention was paid to the need to lessen the impact. Primitive became chic and set the stage for the radicalization of the movement. The increased use of the wilderness and the emphasis its holiness coincided with the emergence of the baby boom generation on America's college campuses; already involved in protesting the war in Vietnam, "the young people at this time were ready recruits for a preservationist ideology," Chase said. "Politically active, environmentally aware, with money and equipment to get close to nature, they were brought up on an ethic of commitment and authenticity of experience. . . . They found their identity in opposition." The philosophy that guided these new environmentalists was immersed in negativism; it was defined by those it opposed rather than by a plan for the future. It repudiated traditional science, management, and politics, but advocated nothing in their stead. In 1972, however, a new philosophy emerged among Californians , a philosophy that called into question all Western ideas and ideals, Judeo-Christian ethics and traditions, and science. Before long, this philosophy had two branches: deep ecology, the principle that considers that all things have "an equal right to live and blossom"; and the New Age/Aquarian Conspiracy, the imposition of benevolent human intervention to bring about Utopia. But neither ideology answered the practical questions: What will happen to particular animals or particular ecosystems as a result either of noninterference or of technological innovation? The "deep ecology" approach to conservation affected Yellowstone and all national parks because mainstream environmental organizations began to buy the concept. In 1984, several of these organizations joined forces as The Greater Yellowstone Coalition, and began a political campaign to enlarge the government "protection" of an identified Greater Yellowstone Ecosystem and drive out all development from mining to snowmobile trails. However, they had no plans for studying and aiding the animals that lived within the ecosystem or for making such studies possible. The story of Yellowstone has been a story of biological change, a short-term evolution influenced by man's presence but not necessarily harmed by it. Yet throughout its history and aided recently by the philosophy deep ecology, the park service has vilified man's presence even to the extent of denying help to animals that are desperately in need. Chase concludes that the story of Yellowstone provides an opportunity to show how man can work in harmony with nature, not opposed to it. "Natural areas were not made less natural by human presence," he said. "The worlds of nature and culture overlapped. We had tried to draw too fine a line between the two. "Yellowstone was not just a natural area. It was not natural to see elk grazing on the mown bluegrass lawn of the administration buildings at Mammoth, to wake in the morning at the Lake Hotel to find a bison asleep under one's window, to meet a moose walking through the parking lot, to see a bear along the road. It was not natural, but it was nice. The park was a place where nature and culture mixed, a community of animals and people, a laboratory where we could learn to coexist with other creatures." 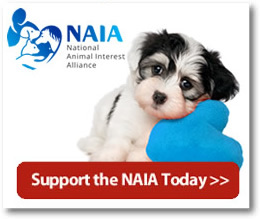 Editor and Writer for the National Animal Interest Alliance.